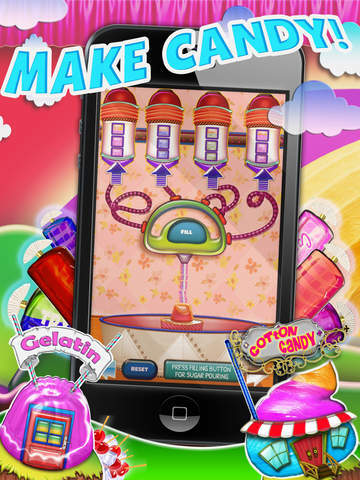 Do you like making delicious sweet candy? Then this is the game for you! We welcome you to the Candy Factory, where there are treats in every area, from Cotton Candy to Candy Apples to Peanut Butter Cupcakes, from Crispy Rice Treats to Gelatin to Lollipops and much much more! There are 8 different foods to make in this fantastic game proudly brought to you by Fragranze Games Ltd. The fun does not stop there! Once you have made your treat, why not personalise it with hundreds of decorations, sticks, cones, backgrounds and so much more! So, it’s time to stop reading, and start downloading, as this game is ready to keep you occupied for many hours!